There's a minimum wage, and then there's the bare minimum of what you need to survive. And in Colorado, it's not uncommon for people to work two or three jobs just to pay the bills. 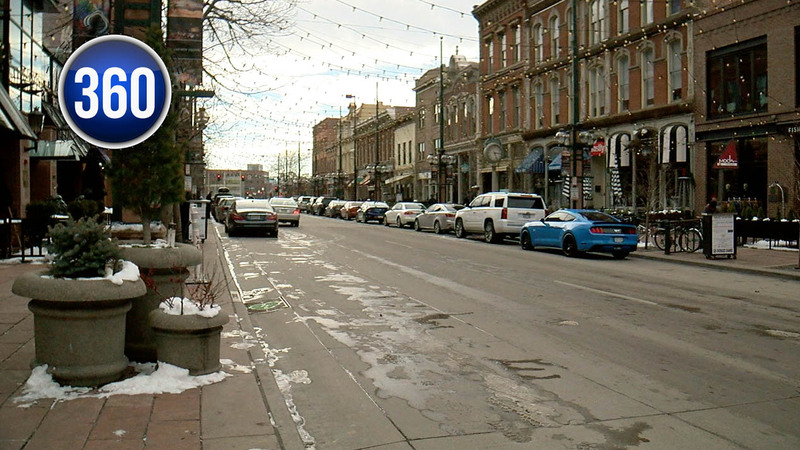 DENVER — There's a minimum wage, and then there's the bare minimum of what you need to survive. And in Colorado, it's not uncommon for people to work two or three jobs just to pay the bills. At the moment, Colorado's minimum wage is $11.10 an hour. Lawmakers set the wage for the entire state. But new legislation being introduced this year would give local cities and counties the control to raise the minimum wage however they see fit for their communities. "Everything is high,” said Mohammad Ali who works at Denver International Airport for minimum wage. “House rent is high and food and other expenses." Ali provides wheelchair assistance to air travelers and gets paid $11.10 an hour. "This money is not enough," Ali said. He pays $2,200 a month to rent his home in Denver’s Green Valley Ranch for his family. Shoeb Babu says he had to leave his traditional job making minimum wage. He started driving for Uber, Amazon and Dominoes to get by. "Yeah, you can say better,” Babu said. “You can make $15 an hour or what might be sometimes $17-$18 dollars." Babu said he's watched as several friends and co-workers have left the state because of the affordability crisis. "Lots of people - they keep moving to different states,” Babu said. “Because it's so expensive, even if they grow up here. But, they have to leave because house rent and everything is getting so expensive." But, many small business owners say there must be a sensible balance because it's a complicated equation. "Frankly, that cost is passed onto the consumer whether it's a restaurant or small retail shop," said Robb Horen, owner of Dog Savvy boutique in Larimer Square. "I absolutely think people should get paid appropriately for their time,” Horen said. “But as a small business owner you need to take into consideration the cost of doing business. And hours on the clock are something that add up." On the other side of the debate, at Native Earth Landscaping, owner Sarah Marcogliese argues $11.10 an hour doesn't cut it for anyone. "Especially if they can't live where they work,” Marcogliese said. “They have to pay so much more in gas. It's ridiculous." She’s a member of Good Business Colorado, a group that supports the local wage option. "It levels the playing field," Marcogliese. She points to places like San Francisco and Seattle where small businesses not only didn't collapse, they thrived by paying workers more. "And you give them things like sick days. You give them things like a 401k plan, they tend to be very loyal," Marcogliese said. For restaurants, the problem isn't just wages. Stoney's Bar and Grill owner Stoney Joseph says in Colorado, no matter how much you pay, you still lose good help to the marijuana industry. "It’s competitive,” Joseph said. “We have about 65 employees which is a lot for one restaurant. You kind of have to create a culture and a good vibe." There's certainly plenty of evidence that wage growth isn't keeping up with the cost of living in Colorado, especially in urban centers.